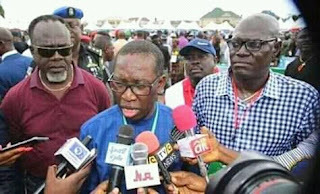 The Delta State Governor, Ifeanyi Okowa has reportedly reclaimed the ideology of Igboist in the State. According to News Making round on social media, breaks that the governor has moved motion to create Anioma states which is formerly known as "Delta Igbo" but now called igbos generally. He Said: "There's nothing like Delta Igbo. Igbos Are Igbo as Far as the world exist".